WEDNESDAY, March 28, 2018 (HealthDay News) -- Most people today simply aren't as active as people were decades ago. You can blame technology for some of that. The conveniences of modern living have taken away many chances to burn calories. 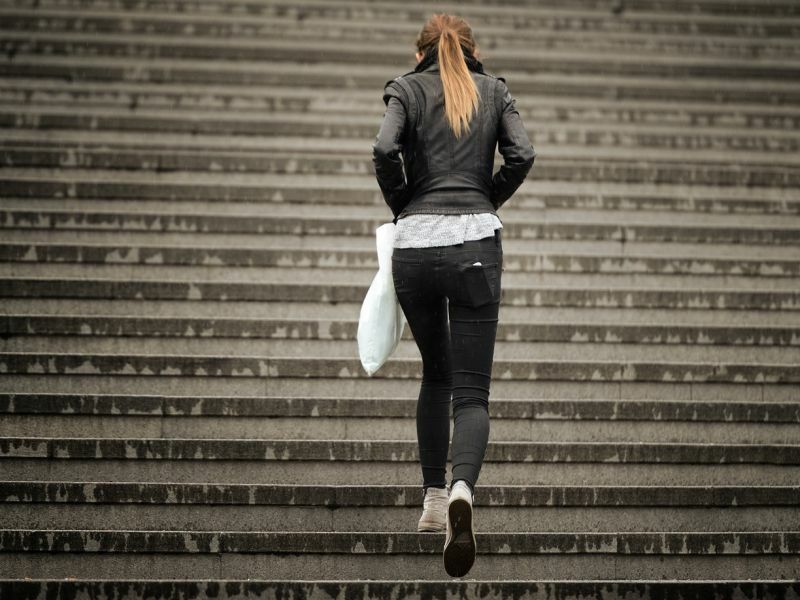 Homes, office buildings and even some public spaces have been modernized in ways that require people to be less physically active throughout the day. It wasn't that long ago that changing the channel meant getting up and walking to the television. Then came the remote. Same with the telephone. Rather than a phone on the wall in the kitchen, for instance, most people today -- young and old alike -- have a cellphone in a pocket or at least close by most of the time. No need to move to answer the phone. It's possible, though, to still find ways to get up and get moving -- burn some calories and help your heart. If your television lets you change channels without the remote, stand up from the couch, walk to the TV and do just that. If not, at least stand up and walk in place (or around the room) during commercials. At the airport, use foot power to get to your gate instead of hopping on moving walkways. Same with escalators and elevators -- opt for stairs, instead. Mow your lawn with a push mower. Put away the leaf blower and pick up a rake. Same with the hedge clipper; try the manual kind. Your yard can look just as good, but your body will benefit more. Visit a pick-your-own farm for fresh produce. Store household items like paper towels and toilet paper in a less convenient location, like the garage, so you'll need to take extra steps every time you need a new roll. Rather than shopping via the internet from your couch, rediscover the mall. Whether it's an enclosed or outdoor mall, it's still a great place to walk. And when you get there, don't park right by the door to the store you want. Parking nearer the edge of the lot means extra steps arriving and departing.